Brewers News - Luxury Golf Weekend Up For Grabs! Luxury Golf Weekend Up For Grabs! It's the last couple of weeks of our latest competition, don't miss out on your chance to WIN! Whether you're inspired by the upcoming Masters tournament, or a lifelong golf fanatic we have a competition you won't want to miss! The UK is full of world class golf courses making it one of Europe’s top golfing destinations. 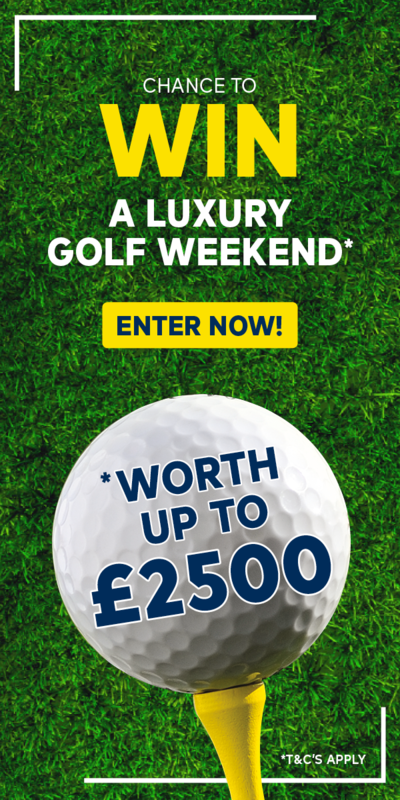 Brewers Decorator Centres are giving you the chance to win a luxury golf weekend at a UK golf course of your choice up to the value of £2,500. You'll be playing on one of the top golf courses in the UK if you're the lucky winner of this competition, make sure you enter before midnight on Sunday 14th April for your chance to win! Don't forget, when buying 10 litres or more of Albany tinted colour at any Brewers store or online you'll receive a voucher for 6 months membership to Open Fairways!